The second annual Dorm Energy Competition will run from November 1st through November 30th. The energy savings accrued by the winning dorm will be donated to the Global Water Initiative, Student Government’s year-long program to raise money to build wells in Africa through an international non-profit called The Water Project. The winning dorm will also receive an Energy Champion banner. 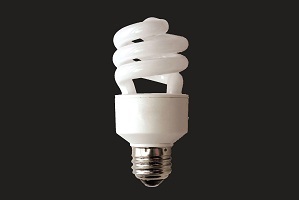 Students will be gearing up for the competition by participating in a CFL light bulb exchange on Sunday November 1st from 4 to 6pm. Student volunteers will go door to door in the dorms, exchanging thousands of incandescent light bulbs for efficient CFLs. To volunteer for the light bulb exchange in your dorm, email [email protected]. Walsh Hall was the winner of last year’s Dorm Energy Competition. The women of Walsh successfully reduced their electricity usage 31% below their baseline. All together, the residence halls conserved a total of 93,674 kwh, reducing the university’s emissions by 56 metric tons of carbon dioxide equivalent and saving over $4,000 in electricity costs. As in last year’s competition, each residence hall will compete to reduce its electricity use compared to a baseline of its typical electricity usage.